Every year hundreds of new shoes hit the market. All that variety means that there’s a perfect pair of shoes out there for everyone! However, having so many options can make it difficult to figure out which shoes are the best choice for you. There are lots of things to consider, from comfort to style, and of course-price! Most importantly, you’ll want to get to know your feet a little better, so you can make sure that any new shoes you buy will support your body as well as your style! Here at Best Walking Feet, we’ve made it our mission to hook you up with your perfect pair! Whether you’re looking for a pair of comfy walking shoes, a pair of snazzy dress shoes, or technical trail runners to take you on challenging runs, we’ve got you covered! We know that shoes can be incredibly subjective. After all, everybody’s tastes are a little bit different, and none of us have exactly the same feet. So, when you’re shopping for your new kicks online, it can be pretty confusing to figure out why people had such different experiences with the same shoes. Online buyer reviews, and even expert review in periodicals can give you a pretty mixed impression. That’s why we decided to write our own reviews. We’ve made sure to look at all the key specs, features, and innovations that set each pair of shoes out from the pack. We’ve compared each of these to the rest of the market, to help you get a sense of where each shoe fits in. Then, we read hundreds upon hundreds of buyer reviews, to figure out which complaints spoke to real issues, and which were the result of someone buying the wrong shoes. We’ve compiled all of this into concise, thorough reviews that we hope will help you narrow down your search quickly and conveniently! Help you get to know your own feet, so you can quickly and easily find the best shoes for you. To help you navigate all your different options, we’ve sorted our favorite shoes into some specific guides. Flat feet are incredibly common. Thankfully, that means there are plenty of shoe options to help sufferers find relief! We’ve looked for walking and running shoes to give you the support you need without breaking the bank. Or, maybe you aren’t looking for a new pair of shoes at all! Podiatric insoles can provide proper support in a pair you already own and love! We’ve gone on the hunt for the best insoles to make your favorite snazzy shoes feel comfy and supportive without cramping your style! We’ve come up with a few solutions for making dress shoes, casuals and other traditional footwear flat-feet-friendly! As a nurse, being on your feet all day can be rough. Finding the right pair of shoes can be even hard- especially if you don’t have the time to spend searching for and comparing all the nursing shoes on the market. And nobody wants to be stuck in those boring bogs from the supply catalog! Our top picks for nurses are professional, supportive, and loaded with all the features you need in a medical facility! There’s lots to consider, from support, to dress codes, from style to stain resistance. We’ve come up with a few different options for getting you through your long shifts in comfort and style. Finding the right support when you have high arches can be a tricky challenge. 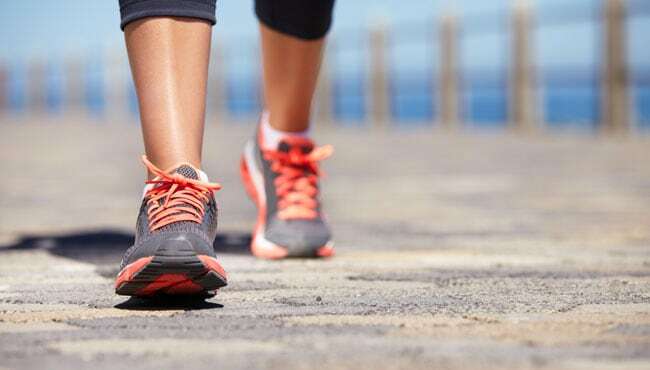 It’s particularly difficult to find a pair of running shoes that can support your feet without being clunky and interfering with your run time. We’ve found a few great pairs that will offer you a range of support, so you can choose your ideal balance of cushion, structure, and speed! 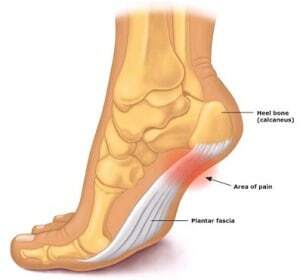 Plantar fasciitis is one of the most common sources of heel and foot pain today. It’s a medical condition frequently found in runners, although anyone can develop it. Caused by an inflammation of your plantar fascia, this condition can be troublesome and even debilitating for some. Our special guide will help you figure out if your foot pain might be a symptom of plantar fasciitis, and give you some tips on how to kick it! 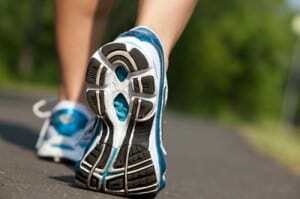 Finding the right shoes can greatly improve and sometimes even eliminate the pain associated with plantar fasciitis. We’ve scoured the internet in order to find the best shoes of all types for those suffering with Plantar Fasciitis. You’ll find options for running shoes, sneakers, dress shoes, sandals and more in our dedicated guide!